Click on a name to download the font. If you use Windows, the .ttf files (True Type Font) will have to be installed in the subfolder /fonts of the Windows folder, or option 2: you double-click on the file then click on "install" so that Windows copies it in the subfolder by itself. 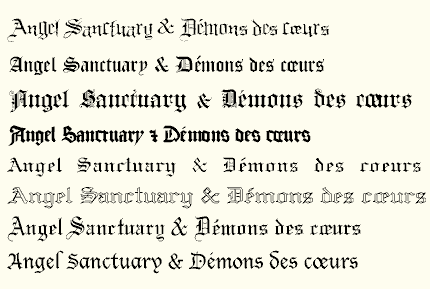 Be careful though, 3 fonts are .pfb/.pfm (Adobe Type 1 PostScript Font). You need to unzip all the files in some folder of your choice (not Windows), then double-click on the .pfm file to preview the font, then click on "install" so that Windows does the job itself. With older operating systems (XP and older) you will need Adobe Type Manager to install them (free software). 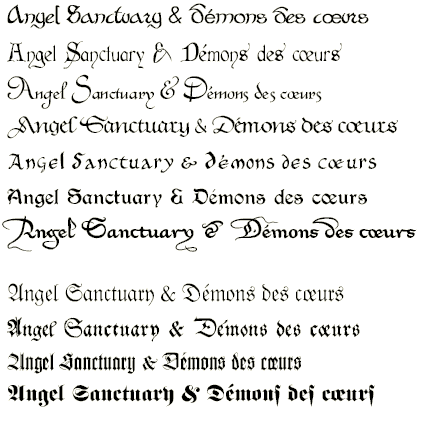 : fonts used in the version 5 of Angel Sword. Download the 33 fonts (2,4 MB). 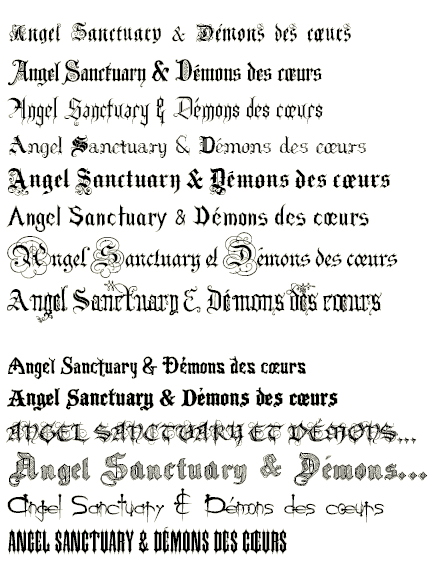 Download the 25 fonts (4,7 MB).